I just realized that we never did choose/announce a winner for January's customer photo submissions - and there were some fabulous ones. Wanna see how fabulous? Check these out. Isn't this lovely? This gal customized our very popular Inspirational Wall Quote #2 (Dream with the Eleanor Roosevelt quote) to fit this - a favorite song of her mother's, recently deceased. What a lovely tribute, no? I absolutely love this quote - I am fearfully and wonderfully made. 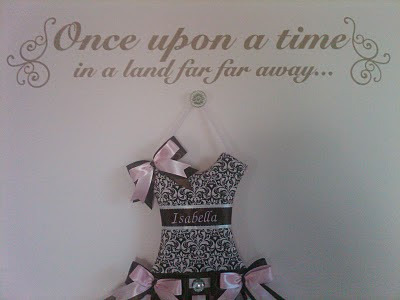 Look for it as we update our nursery wall quotes section soon. It's gonna be fabulous (just like this custom design). Font used? Adorable. Ah - one can never have too many reminders. 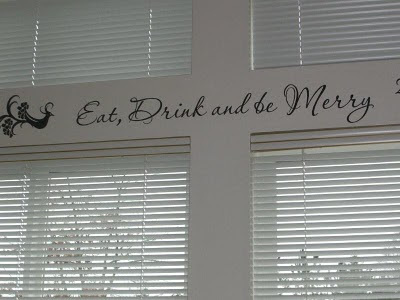 Great use of our wall art collection (a chinese floral design here) and the ever-popular Passions Conflict font. 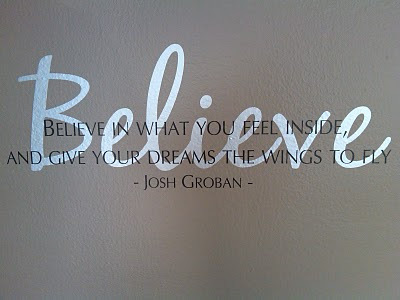 This is another quote we totally love. In fact, we liked it so much that we've added it to our updated boys wall quote section. This custom design uses the Goudy Handtooled and BeauRivage One fonts. And I love that wall color - so rich. 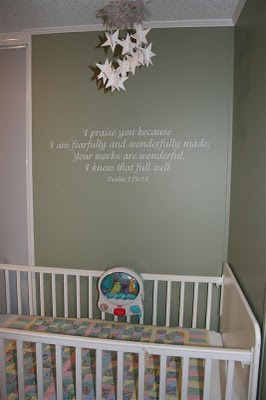 But.... without further ado... let me show you January's winner: this lovely craft room. A huge thank you for all of the great photos and submissions.